Looking to learn more about Ana Forrest and Forrest Yoga then you will love this book. Sharing her life and her practice Ana Forrest, will help you bring her yoga teaching off the mat and into your life. 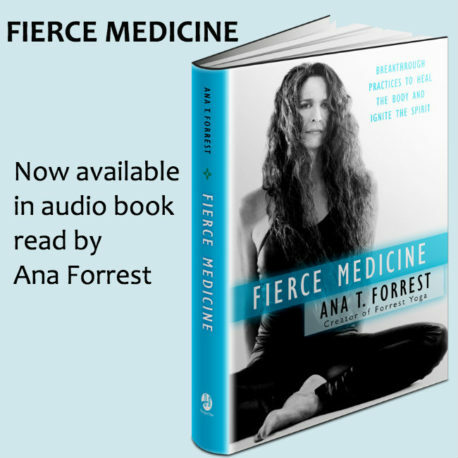 Whether you have never done yoga or are a seasoned practitioner, Ana Forrest’s practices, stories, and exercises will help you uncover your own warrior s heart. As the creator of Forrest Yoga , Ana T. Forrest has been transforming people s lives throughout the world for more than thirty-five years. Her unique blend of physical practice, Eastern wisdom, and profound Native American ceremony takes her teachings literally off the mat and into daily life to heal everything from addictive behaviors and eating disorders to chronic pain and injury. 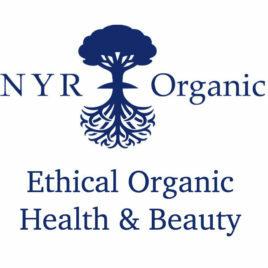 NYR (Neal's Yard Remedies) organic skin and body care and natural remedies use the finest organic and natural ingredients. Ethical Organic health and beauty range of essential oils, herbal remedies, supplements and award-winning organic facial skin care including the new Deliciously Ella range. Discover natural & organic skincare for the whole family - Browse and purchase online or through the studio. Discover the full range of yoga clothing from Sweaty Betty's latest collection. Sweaty Betty yoga tops are perfect for yoga or Pilates. Discover soft-touch bamboo fabrics, sweat-wicking styles and beautifully flattering tops in a variety of looks. Yoga Bottoms that let you stretch in exclusive prints, reversible yoga pants, 3/4 length Yoga Pants & stylish Yoga leggings. Shop for everything from hot yoga clothes to key pieces for traditional yoga and Pilates classes. Complete the look with a pair of beautiful printed leggings or a statement top. Shop the Sweaty Betty range of high quality yoga clothing and accessories. From morning meditation to evening tea, the lululemon sit in stillness high-rise yoga pants are designed for comfort Sweat-wicking, four-way stretch Luon® fabric is cottony soft. These are long pants so the drawcord in hem lets you customise the length and style if you prefer a more harem pants feel for your yoga practice. Discreet waistband pocket keeps essentials close. Relaxed sensation Order online and collect from the studio. Grips you to your yoga or Pilates mat to help prevent slipping as you practice. 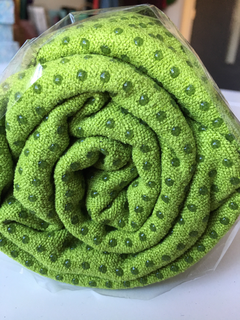 Super absorbent grip layer, ideal for Hot Yoga classes where you sweat. Machine washable and quick drying - can washed with your yoga clothing after a sweaty practice! A lovely hygiene layer to use over a rental yoga mat or as a practice mat if you like to travel light. 100% silicon nubs grip to your mat or floor.